Here’s a sampling of some concerts coming to the area that are worth seeing. 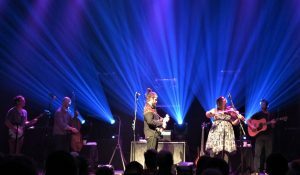 Yonder Mountain String Band, Rams Head On Stage, Annapolis, Wednesday: A very limited amount of tickets remain for the Colorado bluegrass quintet. If you miss out on this one you’ll have a second chance the next day, when they take the show down the road a piece to D.C.’s Union Stage. 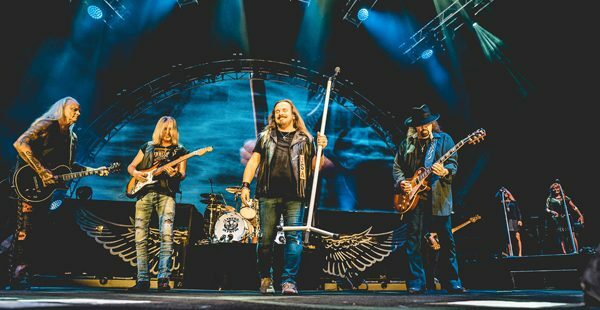 Lynyrd Skynyrd, Royal Farms Arena, Friday: The Southern Rock icons bring their Last of the Street Survivors Farewell Tour to Baltimore on Friday. This could be your last chance to hold that lighter to the rafters, scream out FREEBIRRRRD!! And actually get it. Groupon even has a $20 ticket offer for you up in the 300 level. Not too shabby considering even the farthest seats at the arena still have pretty decent view. 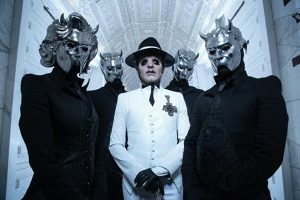 Ghost, Hippodrome, Dec. 10: Swedish prog-metal artists Ghost will be a spectacle for sure. A Pale Tour Named Death featuring Cardinal Copia and his band of Nameless Ghouls take the stage in support of their latest album Prequelle. There’s just not a lot of occultic metal bands out there with a saxophonist, so that could be reason enough if you’re on the fence. Costumes are welcomed and encouraged, but no simulated weapons (or real for that matter) will be permitted. Snoop Dogg, UMBC Event Center, Dec. 7: Snoop Headlines the bill for the “Puff Puff Pass” Tour along with Bone Thugs N Harmony and Too Short. I’m pretty sure UMBC doesn’t condone smoking weed in its new arena, but they did book the gig, so who knows? Delfest Allegheny County Fairgrounds May 23-26: Early bird tickets for Maryland’s Labor Day Weekend bluegrass bonanza go on sale on Nov. 15, so if you’re looking to snag one of the DELuxe VIP packages or an RV pass, you better get on it as soon as they go on sale, as they tend to fly out the door. The String Cheese Incident announced they’ll play, but I’ll wager The Del McCoury Band and The Travelin McCourys will both be making an appearance, too. Baltimore Post-Examiner will have a full breakdown and photos from several of these shows, so be sure to check back.